Like the lady who politely stopped me the other day and asked “Ruby Woo, right?” When I replied in the affirmative, she grinned and said “I knew it!” Well, she was my intended audience. She appreciated the lipstick’s quality and recognized the distinctive shade. I suppose it’s the same with precise attention to detail in tailoring. With regards to a dressmaker’s intended audience, the truth is that only another dressmaker would appreciate the effort and dedication put into exquisite finishing. Most of the time, a paying customer of either an RTW (ready to wear) or a custom-made garment might not notice the extra love. She’d definitely appreciate how nicely the garment fits her and accentuates curves, or how pretty she looks wearing it. She’d sometimes notice how neat the sewing is, in terms of the straightness of the stitches. Most importantly, in the case of custom-made aso-ebi garments, she’d really be thankful to God and all the singing angels in heaven that the dressmaker did not disappoint and delivered on time the exact style that she requested for. I sincerely believe that the finishing of a garment should be both careful and aesthetically pleasing. I saw a piece of advice in one of my sewing books “Always aim to make the inside of the garment look even better than the outside”. 1.Lace hem tape: I like to use this when I’m hand sewing a deep hem, the scallops are so pretty. 2.Hong Kong seam: This gives a professional look, the edges are sealed by sewing bias tape around them. Bias tape can be store bought or cut from the same fabric being sewn, if it’s not too bulky. Simply cut diagonal strips. 3.French seam: This is a great way of sealing the edges of delicate, drapy and likely to fray fabrics, it literally makes the edges disappear within the seams. The wrong sides should be first placed together and sewn using a 1/4 inch seam allowance. Then, the right sides are placed together and sewn, using a 1/2 inch seam allowance, such that the new seam “swallows” the previously sewn seam. 4. Zig-Zag edge: I like to use this when sewing medium to weighty fabrics that will not fray post-washing. The jagged shape is achieved by cutting with Pinking shears (zig-zag scissors). 5. Satin ribbon: I like to use this when machine sewing deep hems, as it gives a sleek look. Personally, I believe that the finer details is what sets tailors apart. Now that I think of it, I suppose Finishing Schools are called that for a reason. People can easily see our outer packaging, but when they get up close and turn us inside out, they’ll see either frayed, tatty edges, or tidily finished seams. Quite remarkably, sometimes, one’s inside could radiate so brightly that it even overshadows the outside. That to me is unquestionable Poise. Oh guys and their self-absorbed self. Funny. Lol… They think they have us figured out. So you put a pin in that over bloated idea a human man has of himself, when it comes to why women do what they do? I really do want to learn how to sew with a machine. I can pretty do well with needle and thread. I don’t think i want to go commercial with it, just basic for household and personal needs. What do you recommend? I like to think that Ruby Woo is a woman’s best friend 🙂 . Thank you so much! I am so glad to hear that, sewing is a lovely skill. You are very creative, so this should be easy for you. I own both an electric and a manual sewing machine, but the truth is that I use the manual one more because of erratic power supply. There is no difference between the stitches from both machines. If you want to understand the nitty-gritty of the sewing process, I’d recommend this book- ‘Dress Pattern Designing; The Basic Principles of Cut and Fit’ – Natalie Bray. I am compiling a list of helpful tutorials in the “How to sew” page. Let me know if there’s anything else that you’d like to know. Oh, I was also going to ask you to recommend any sewing books. You speak such fluent “sewinese.” I’d like to learn! These are the books that I own, all with very helpful content. 1) ‘Dress Pattern Designing; The Basic Principles of Cut and Fit’ – Natalie Bray (Highly recommended for a beginner). 2) ‘Pattern making for fashion design’- Helen Joseph- Armstrong ( For an intermediate level sewer). 3) ‘Couture Sewing Techniques’ – Claire B. Shaeffer ( A real gem, this book always makes me smile, it is excellent for understanding the fine art of sewing and the principles of couture). 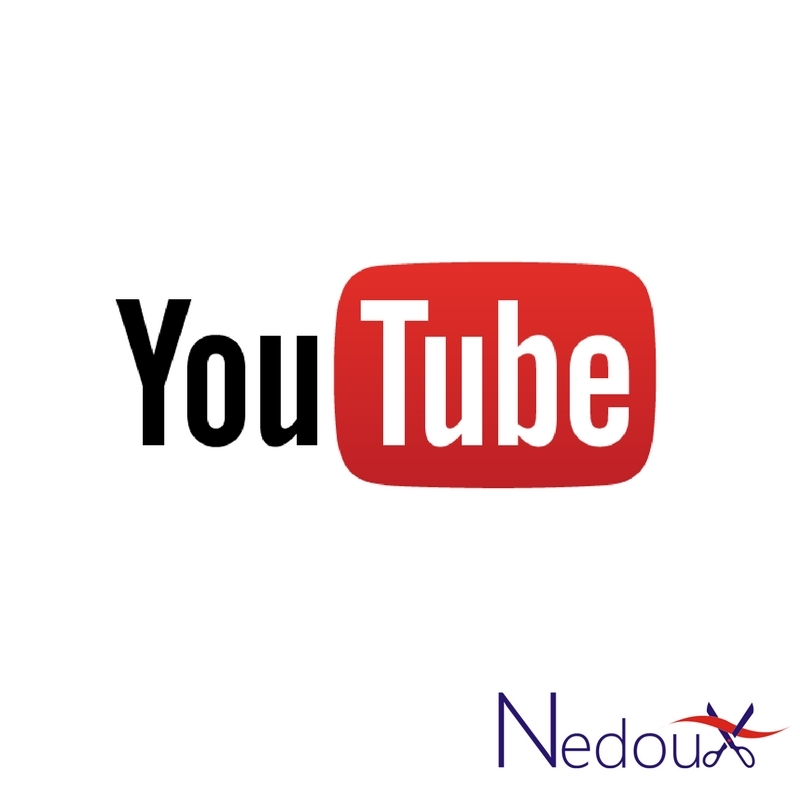 Thank you Nedoux! I will look those up on Amazon. The witty anecdote again! Such seamless writing. I’d like to refute the claim that men don’t notice the weaves, talons and puckered, bright red lips. That’s one man’s opinion. That’s not the vibe I got when I was in Nigeria. I had to constantly battle the urge to give in to the Brazilian hair, skin “toning,” never-leave-the-house-without-makeup, dressed-to-kill trend. They claim they don’t notice these trimmings but then they turn around and ask why you don’t wear Brazilian hair and why you’d opt for the “untidy” natural look. You’re right Nedoux. We dress for other women. But we also package ourselves for the men too. The eyes eat first. Thank you so much for reading! I sincerely appreciate the depth of your comment. I totally agree with you, I call it the “from-the-corner-of-my-eye” syndrome a.k.a acting like I don’t notice you even when I’ve slyly assessed you from head-to-toe from the side of my eyes. Hahahahaha. Those good old days of my fake fingernails tapping away at the keyboard made me feel very powerful! Strange isn’t it? But I did feel powerful and I LOVED it. Thanks for such a beautiful and joyful writing. Honestly you’re right with that. The finishing matters a lot. I remember when I inscribe on any crochet item,it looks beautiful outward but inward I really don’t just don’t think it’s neat enough even though people say it’s okay. Thank God I now have another means of inscribing that looks in neater just like machine inscription. But wait o,you’re really excellent in your sewing. When are we going to meet biko,I adore you I tell you. And oh! I love your hair. I agree with you, I love how you strive to improve the look of your crochet work. You are very creative. Hi-5 on that sewing allusion! I fell in love with my current tailor, not because of her pricing or because I like her face or location. It was simply because of her finishing! She had to adjust a dress she made about 2 years ago, and you would never have been able to tell that it was made that long ago. She is so painstaking with her work. That said, beauty is indeed in the eyes of the beholder. Na you sabi the beauty you see and that, is highly subjective. Even as the tailor, you are the beholder. I understand your love for your tailor, indeed, people appreciate it when one makes that extra effort to produce quality work. This made me smile- “Even when you are looking within yourself (per inner beauty), you are still the beholder” Spot on!!! You are so right about the “inner packaging” of an outfit. That’s the best compliment I cherish from my customers. Lol, I have a PhD in Searcheology from the ‘University of Google’. I am grateful for the sewing resources that are available on the internet. I totally agree with you, it’s always nice when others recognise the effort that one has made. What a delightful article Nedu, you write beautifully! Spot on about it all too. I love the analogy you used as well. Attention to detail is everything indeed. You make me want to go out and sign up for a sewing class or something! It would be a dream come true to make my own and my family’s garments. I’ll admit that I was pleased when I noticed in your blog, that you are keen on learning about sewing. I’m compiling a list of tutorials in the “How to sew” page. You might find them useful. Practice is very important. Have a delightful rest-of-the week! I love lace scallop finishings…and you are so right, often we dress for ourselves and for that stamp of approval you get from other ladies at a party, in a shop, on the street…as for men saying they dont notice: RRrrrrrubish nonsensical nonsense, especially Lagos men. Granted, I havnt spent so much time in Lagos, but when I am there, I’m always struck by how visual they are in the more superficial sense of the word…ps love the bit about nails so long they could pin Jesus to the cross again: thats gold! @ “RRrrrrrubish nonsensical nonsense” XD . I actually nodded my head in agreement with you. Thank you for reading, have a pleasant rest-of-the week! Interesting post, I love your various types of finishing. I sincerely believe that the finishing of a garment should be both careful and aesthetically pleasing. Roger that! When you understand what goes into the making of any product or service, you tend to appreciate the details. You write beautifully well and I like how you ‘lace’ up your words with your sewing and reality. Lovely! I wish you God’s blessings as you prepare to enter this new phase in your life, and I wish you a lifetime of happiness in your marriage. Anyway thanks for ur well wishes hun! “Chibaby” has done it again. The way you play with and string words together, always makes me smile. Your comments are always delightful. I “LOL’d” at “Ruby woo, right”? Funny post. You really have a way with words. I hail you! You got me thinking about finishing and character. A person’s character is gold, definitely more important than outward appearances but what I cannot stand is using that as an excuse to walk about looking sloppy. There’s no excuse to look scruffy. Ever. 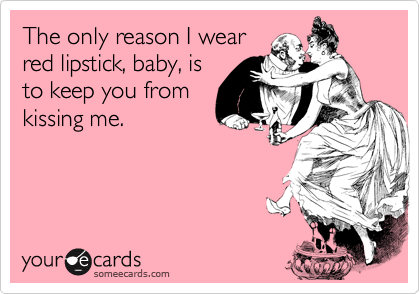 As a lover of red lipstick myself, the right shade makes all the difference, and it’s usually women who pick up on these things. I love the way you’ve analysed this post and I agree with you. Indeed, one’s character is like a treasure. Ah! It sure does. Red lippie “switches on” my face. Yes, it is women who pick up on these details. Funny and informative as usual! You always find a way to seamlessly (pun intended) loop so much into your sewing post! Thank you so much for reading. I try to make the posts as interesting as is humanly possible. Hmm, very interesting and hilarious perception about we women and our (going by your blog) foiled attempts to attract the male bees to our honey pot :), and here we thought we are so clever. Somehow, I knew that you had Nigerian connections going from the tell-tale word aso-ebi, and when I searched for the name behind the blog, I felt silly for feeling excited in knowing that I am right. Good to meet you in blogosphere. Let me wade about a bit and know a bit more about you. Good to meet you too, I am glad I found your delightful blog. Dalu 🙂 Started following your blog. I like it. The more I sew and increase skill, the more I see how important the details are. This post was informative, hilarious and touching all at once. 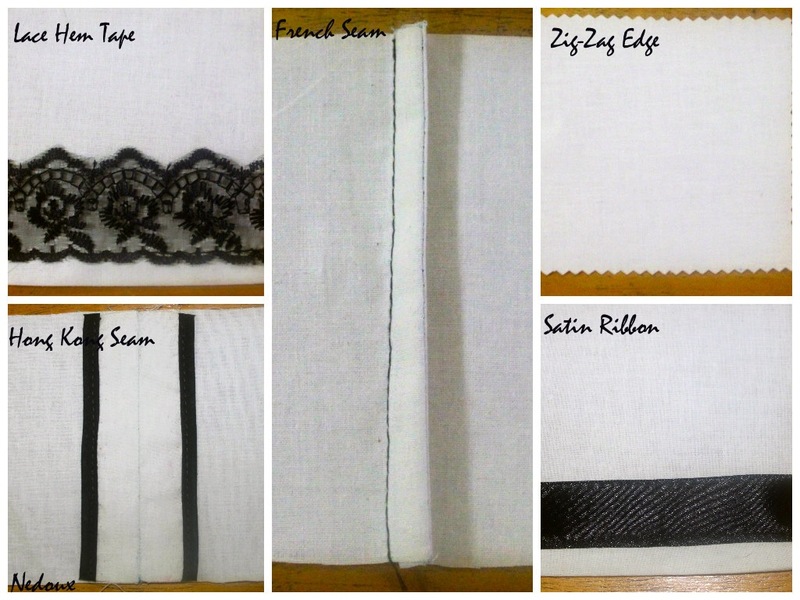 Another great post…..You have inspired me to give the Hong Kong seam, a try one of these days.